FNA- Deputy Chief of Staff of Iran’s Armed Forces Brigadier General Massoud Jazzayeri warned US President Donald Trump’s administration about its moves in the region, saying that Tehran will give tough response to Washington’s uncalculated actions. 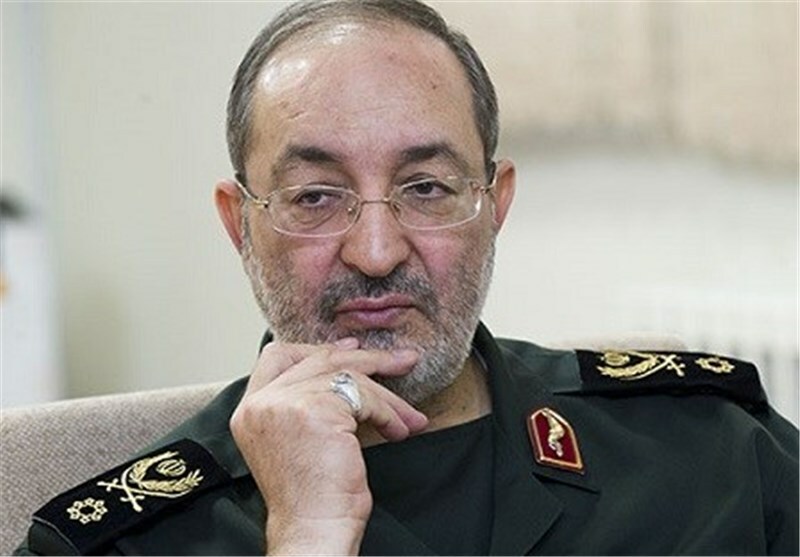 General Jazzayeri’s remarks came a day after the US House of Representatives voted 419-3 for a bill that would levy new sanctions on Iran, Russia and North Korea. “Our Armed Forces with huge popular backup will forcefully and with more self-reliance will move on the path towards the peaks of progress and they will confront the US mischiefs to make them regret,” General Jazzayeri said. He reiterated that the Iranian Army and the Islamic Revolution Guards Corps (IRGC) are two powerful wings of the Islamic system and they will change the game for the US in every arena, and said that the US which is supporting the terrorists will be responsible for negative consequences of any new misconduct in the region. “Observing the principles of self-reliance and indigenous self-sufficiency by the country’s Armed Forces have been major elements for foiling the US sanctions in the past and the same trend will forcefully continue,” General Jazzayeri added. In relevant remarks earlier this month, General Jazzayeri blasted US Secretary of Defense James Mattis’ claims about “regime change” in Iran, and said Tehran is determined to expel all foreign military forces from the region. Iran is determined to push out all foreign forces from the Middle-East region, General Jazzayeri said. “They frequently repeat their childish wishes about Iran, while the Islamic Republic of Iran within the framework of its principled and defined policies is determined to push out foreigners from the Middle East region continually with no doubt or hesitation,” he said. “The US ridiculous dreams for toppling Iran’s government are nothing but illusions and Iran holds no worries in this regard,” General Jazzayeri stressed. A country which is totally dependent on its people and its revolutionary society would never yield to propaganda or enemies’ artilleries or tanks, he said.